Serving Alcoholic Beverages in a Limo or Party Bus? TAM Cards are required. – TAM Card® Nation in Vegas! Serving Alcoholic Beverages in a Limo or Party Bus? TAM Cards are required. Tourists and locals alike often rely on chauffeurs to transport them in limousines, sedans, and party buses for a variety of events and special occasions. 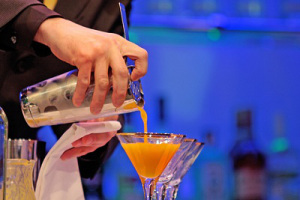 Even if limo drivers and transportation companies cannot sell alcoholic beverages, in many cases passengers are permitted to bring their own drinks, and drivers will be responsible for carefully monitoring passengers. In the regular course of business, drivers may find themselves pouring glasses of champagne or other alcoholic beverages for passengers on airport pickups, nightclub crawls, chartered tours of the Las Vegas strip, wedding and bachelor parties, and more. If you work in a position where you may serve alcoholic beverages to passengers, you are required by Nevada state law to complete alcohol awareness training and obtain a TAM® Card. Previous Congrats to the winner of our quarterly Gift Card Giveaway! Have you entered yet?